According to Tice, the struggling emerging markets could spark a contagion that could hit the United States. The MSCI Emerging Markets Index has lost more than 13 percent of its value this year as of Wednesday’s close. “You look at emerging markets. There’s a lot of trouble in emerging market currencies where we’ve broken to new lows,” Tice noted, as reported by CNBC. “Everybody is into this market,” he said. “I’m worried about whether the economy could enter a recession faster than a lot of people think.” Tice also made a prediction about the inflation predicament based on the global picture. “Frankly, I think there’s fear of deflation picking up again,” he said. 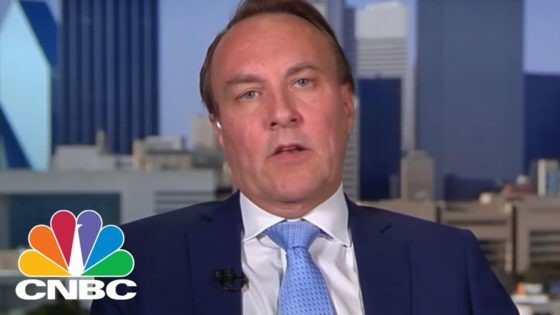 “I think that deflationary trend is likely to continue.” He also pointed to frothy sentiment in the market, which is often perceived as a warning signal to Wall Street. Tice isn’t the only economic expert that sees trouble on the horizon. Peter Schiff has been warning of a financial bubble collapse for a few years now. And compounded with the nation’s rising debt and the American public’s problem with debt, the next “meltdown” could be disastrous.